Here is a short article about an outstanding young horsewoman from Grace Brethren Junior High School in Simi Valley, California. To read the entire article, click here. 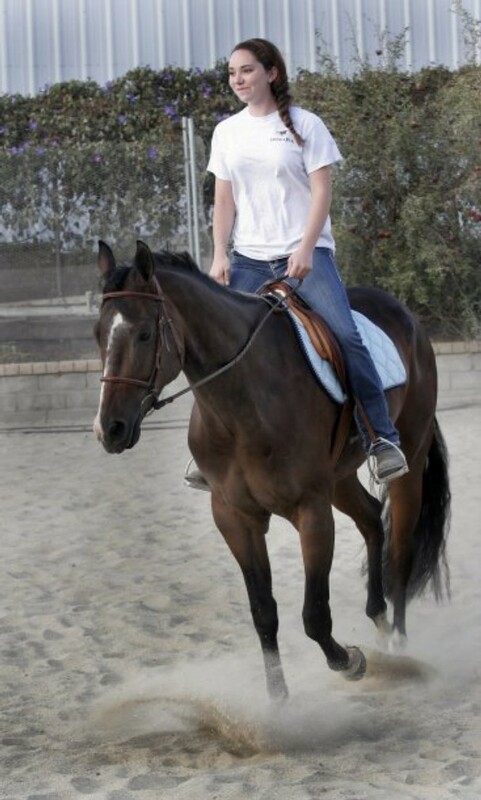 Elizabeth Paxson, a ninth grader at Grace Brethren Junior High School in Simi Valley, competes in American Quarter Horse Association events and recently made it to the national finals. Elizabeth Paxson, a 14-year-old Simi Valley student at Grace Brethren Junior High School, recently returned from the first American Quarter Horse Association Novice National Championship in Las Vegas. She placed in the top 10 in three events and was the only rider who competed on three horses in three divisions: Western, English and reining. “It is not common for a youth to ride three different horses in three different divisions,” said her trainer of five years, Jando Guerra. Elizabeth’s mother started her on horses at age 3 because she had enjoyed it as a child. Elizabeth began showing at 4 years old. When she won the all-around award as the top competitor in all the events as an 8-year-old at the Silver Dollar Circuit Quarter Horse Show in Las Vegas, she began to love the sport.